We are a student-led society, which is mainly focused on teaching sessions aimed at helping students with exams/firms, e.g. chest x-rays, PACES/OSCE teaching. In addition to this, we will be doing some sessions focused on those with an interest in radiology too i.e. on interesting topics which won't be necessary for exams. 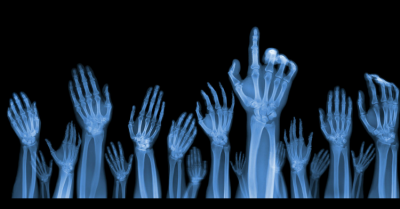 We will provide a few practical radiology sessions too, for instance learning to use and interpret US. Finally, we will be setting up careers sessions on help to those wanting to pursue a career in radiology. We aim to create a networking scheme through the society between radiologists and students which will be incredibly useful for those wanting to go into radiology. We also hope to do some joint sessions with other societies for example paeds, surgical soc. Details of these events will be posted on this page, and include topics such as CXR, abdominal XR, A&E/trauma plain films, paeds imaging, neuro sessions, trauma imaging, interactive/interventional sessions and PACES/OSCE teaching.